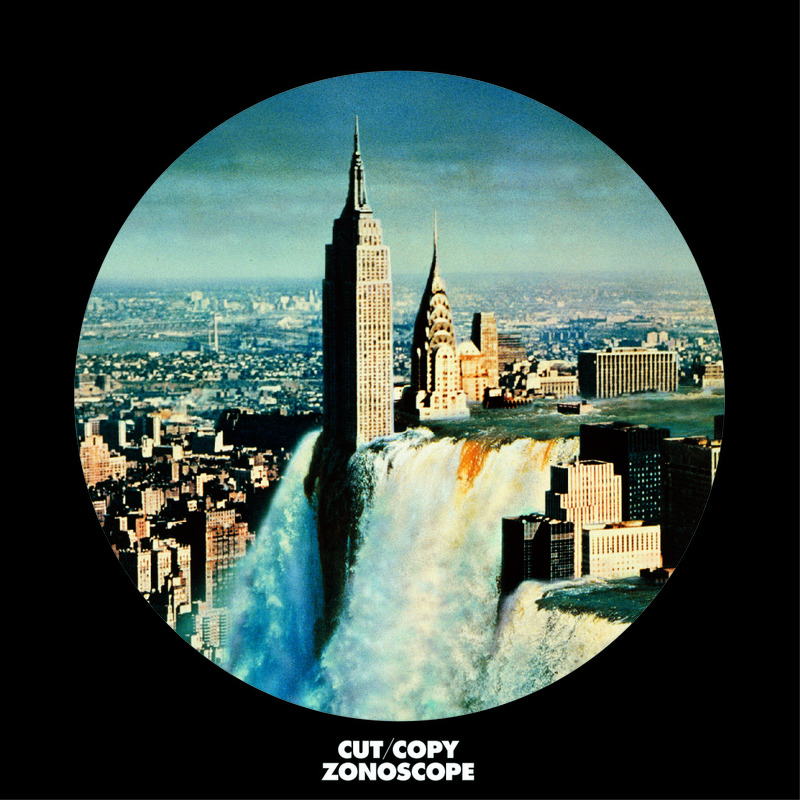 As well as putting themselves in the running for coolest album cover of 2011, Melbourne’s finest, Cut Copy, have finally found their niche upon releasing their third record, Zonoscope. Their debut, Bright Like Neon Love, was rough and raw, but brimming with potential. Their very authentic brand of New Wave-inspired electro-pop was something as fresh as it was fun. Their next release, In Ghost Colors, was heavier, more polished, and exponentially better received by both fans and critics alike. 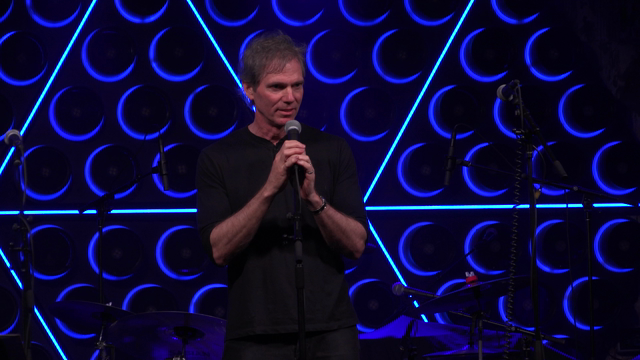 The choruses were catchier, the synths were cleaner, and vocalist Dan Whitford seemed to have really developed his own unique voice within the genre. Things were on the right track for real success. So, it should come as no surprise that Cut Copy’s Zonoscope is their best to date. Many bands take time to experiment before they truly come into their own, and Cut Copy falls into that category. Other acts are more successful from the get-go, garnering unending praise and a sizable fanbase upon releasing their debut (Vampire Weekend comes easily to mind). And while the instant hits aren’t any less valuable than that of the former category, it’s a little more fun to watch a band grow up. Was Arcade Fire always the arena rock powerhouse they are today? Not even close. Being able to witness that journey from talented youngsters to an all-out indie tour-de-force has made them that much more special to each of their fans. As is customary with good artistic progression, Cut Copy has tweaked their sound for the better. Zonoscope includes elements of their former selves (the poppy, bass-driven, big chorus Cut Copy we all love), yet it flaunts a very different feel from its predecessor. This album boasts a far more developed sound from that of In Ghost Colours. During that period of their career, Cut Copy became very comfortable writing short, catchy synth-pop tunes that would stick in your head for days. This time around, they’ve decided to get a little more serious. They’ve taken their obvious knack for pop and made it exponentially more ethereal. Clocking in at just over 60 minutes, the album is composed of track after track of their signature synth-pop, only this time presented on a more epic scale. The mere mention that the closing track, “Sun God”, is 15 minutes long might be proof enough that this is new territory. The last two albums were dominated by concise pop tracks that were three to four minutes long, on average. The inclusion of “Sun God” as a grand finale should give you a pretty good idea of what direction Cut Copy is trying to go in. But Zonoscope is not going to be a complete shock to your system, either. The album opener, “Need You Now”, gives you a chance to re-acquaint yourself with the old Cut Copy, while simultaneously introducing you to the new and improved version. The track begins slowly and quietly, but builds over time, turning into an all out blitz of dreamy synths and captivating vocals: “You know I’m going crazy, but I need you now,” Whitford adds, before “I know we’re running baby, but I need you now, I need you now to find somehow.” And at the end of the track, you’re basically up to speed on the revised Cut Copy aesthetic: still pop-savvy, only now with a taste for post-rock proportions. Once you’ve been introduced, a euphoric blizzard of metaphysical melodies blast out for the next 53 minutes. “Take Me Over” hits next on the album, and in a way that’s going to seize your attention with no intention of letting go. With a funky bass riff juxtaposed against a quick, jaunty guitar melody, it’s possibly the most catchy track on the album, but that in no way means it’s the best on the album. In fact, it’s very hard to determine what the actual standout from this album will be, because literally every track is full to the absolute brim with the genius of seasoned veterans. There is not one moment on the album that drags, and considering that Cut Copy was trying to go epic on Zonoscope, this is quite an accomplishment. From the feel good pop-rock of ”Take Me Down” to the smooth, easy “Hanging On Every Heartbeat”, to the electric balladry of “This Is All We’ve Got”, there is hardly a second that goes by without impressing in a new way. This album is by far their most cohesive journey to date. And who knows why sometimes the journey toward perfection works so well for some and doesn’t for others. We could guess ’til we were blue in the face, but the wonderful truth is that we’ll never come up with an algorithm to explain it. Sometimes it just works. And with Cut Copy, it worked like a dream. Don’t be surprised if this ends up becoming the album of the year, and their magnum opus.